Your Form and your Sequence were made for each other. 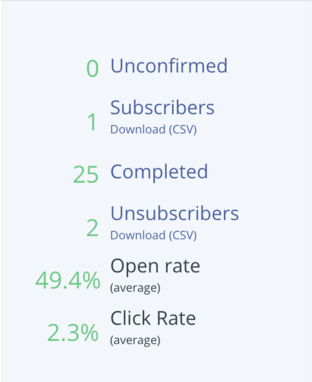 When your Subscribers opt into your Form, a great way to engage them immediately is to drop them into a Welcome Sequence (read more ideas for this here). In order for this seamless transition to work, you will want to connect your Form to your Sequence. If you don't have a Visual Automation set up yet, this is a great place to start! Once you're on your Automations page from the navigation bar, click New Automation, in the top right of the page. You'll be taken to a page where you can click Create New Automation to select your entry point for this Automation (this is the step that will trigger people into this Automation). Click the (+) to add an Action. Search for your existing Sequence or click Create Sequence to create a new one. No need to save—Automations will save automatically! As Subscribers go through all of the published emails in the Sequence, they are marked as having completed that Sequence. From here, Subscribers will move on to the next step in the Automation. NOTE: If you're still working on your emails, create a new email at the end of your Sequence, set the delay for 999 days, and publish it. 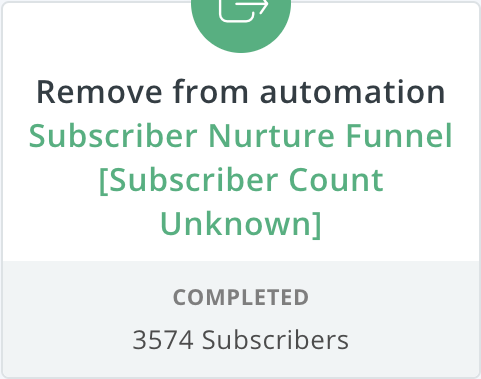 That will give you plenty of time to add or publish emails before Subscribers complete the Sequence! A subscriber is manually removed from a Sequence by you. When you're ready, toggle this Automation to Live for Subscribers to start flowing through.